In this episode Antoine Moss, Millennial Expert, Consultant , And Man of inspiration shares 3 Amazing Tips for Designing Effective College Student Success Programs that Inspire! After the tip, we go backstage where Antoine shares, His close call with failure, How inspiration saved his live, and more! My name is Dr. Antoine Moss. Today I’m excited to share with you three amazing tips for designing effective college student success programs that inspire students and key stakeholders. With these three amazing but simple success tips on how to start your college initiative or program you will have a triple win. You’ll win, the student will win and more importantly, the university will win. So let’s just jump right into it. The first tip I would like to share with you is that the first thing you have to do is identify the problem. What is the problem that your university is experiencing? Then once you identify the problem that you want to solve, you have to have a focused program or initiative that’s tailored towards solving the university’s problem. For example, the university may be dealing with retention issue and if the university is dealing with retention issue, your office may be dealing with an issue of students not being career-ready. They may wait until the last semester of their senior year before they decide to pursue internships. Wrap your arms around the retention and wrap your arms around trying to get students as freshmen more involved, more excited, more engaged, and then when they’re more engaged towards education, they’ll be more engaged towards their careers as well. One of the things that I have found is that college administrators sometimes forget who their customer is. Ultimately your customer is the student, so if you want to learn something about how to solve a problem, you must go to the teacher and customer. The teacher and customer is the student. Go talk to the students and ask how can you solve the problem. Ask them what would they like to see different in the university. Ask them how can they be better engaged and retained and I guarantee you that you’ll get some good feedback from them that you can easily incorporate into your success goals and planning. This is my last and final tip and it’s actually my favorite tip. You have to reignite your passion for student success. You can’t give what you don’t have. If you aren’t passionate about success, then the students won’t be passionate for success either. Avoid burnout. Make certain that you have some relief valves to help you release the stress. Hey, it’s a stressful environment everywhere, but make certain that you have you valves that you can release the stress. Those are my three amazing but simple success tips and it will help you create what I call the triple win. If you follow these success tips you will win, your university will win and ultimately the student will win as well. That’s what I call a win-win-win for student engagement success. 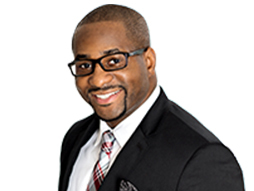 Dr. Antoine Moss is one of the country’s most sought after Millennial Experts and Motivational Speakers who helps college administrators inspire, develop, and equip students for success. Click here to find out more about Antoine Moss.